I am triggering a background fetch by using the content-available flag on a push notification. I have the fetch and remote-notification UIBackgroundModes enabled. When the app is running in the background, it works fine. (The notification is received and the app triggered the "looks like i got a notification" local notification, as the code above should do). However, when the app is not running and a push notification is received with the content-available flag, the app is not launched and the didRecieveRemoteNotification delegate method is never called. It says that the application is "launched into background" when a push notification is received with the content-available flag. Why is my app not launching into the background? Will iOS perform background tasks after the user has force-quit the app? You can achieve this using the new PushKit framework, introduced in iOS 8. Though PushKit is used for VoIP. So your usage should be for VoIP related otherwise there is risk of app rejection. (See this answer). 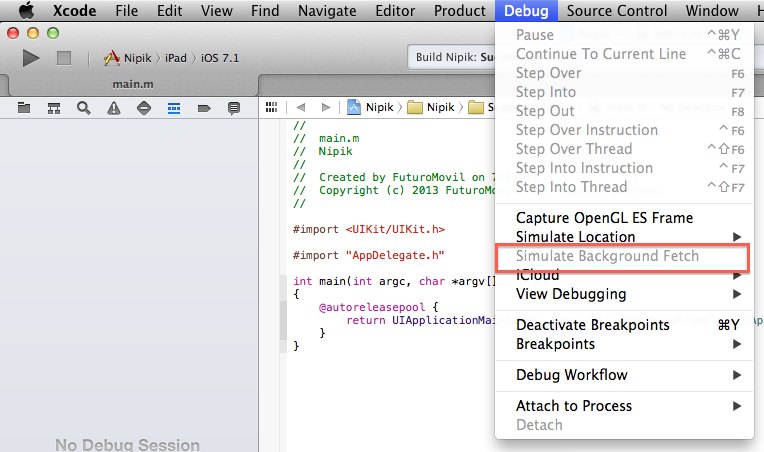 Use this method to process incoming remote notifications for your app. Unlike the application:didReceiveRemoteNotification: method, which is called only when your app is running in the foreground, the system calls this method when your app is running in the foreground or background. In addition, if you enabled the remote notifications background mode, the system launches your app (or wakes it from the suspended state) and puts it in the background state when a push notification arrives. However, the system does not automatically launch your app if the user has force-quit it. In that situation, the user must relaunch your app or restart the device before the system attempts to launch your app automatically again. That post was by an Apple employee so I think i can trust that this information is correct. So it looks like when the app is killed from the app switcher (by swiping up), the app will never be launched, even for scheduled background fetches. 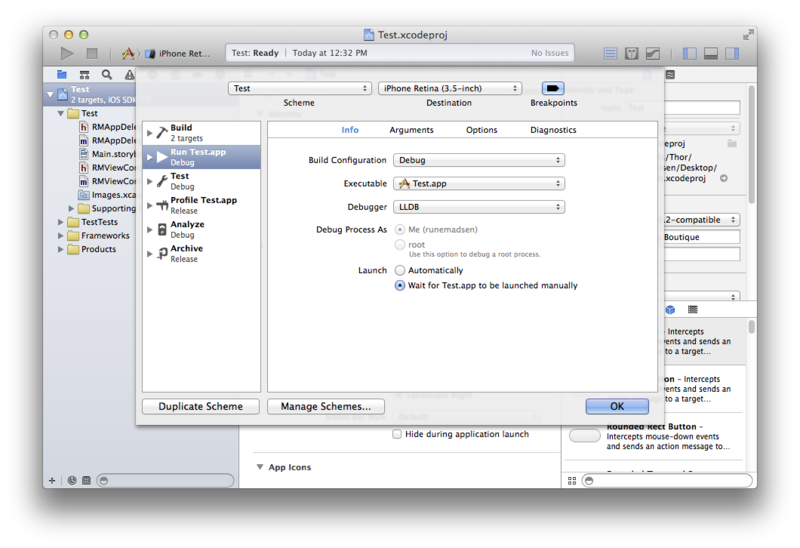 You can change your target's launch settings in "Manage Scheme" to Wait for <app>.app to be launched manually, which allows you debug by setting a breakpoint in application: didReceiveRemoteNotification: fetchCompletionHandler: and sending the push notification to trigger the background launch. I'm not sure it'll solve the issue, but it may assist you with debugging for now. 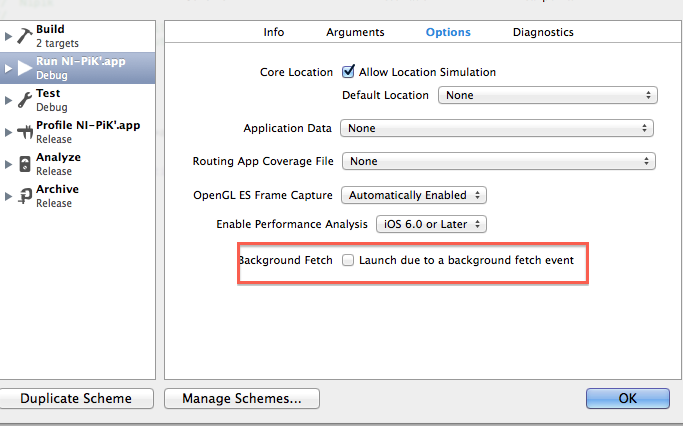 The answer is YES, but shouldn't use 'Background Fetch' or 'Remote notification'. PushKit is the answer you desire. In summary, PushKit, the new framework in ios 8, is the new push notification mechanism which can silently launch your app into the background with no visual alert prompt even your app was killed by swiping out from app switcher, amazingly you even cannot see it from app switcher. The PushKit framework provides the classes for your iOS apps to receive pushes from remote servers. Pushes can be of one of two types: standard and VoIP. 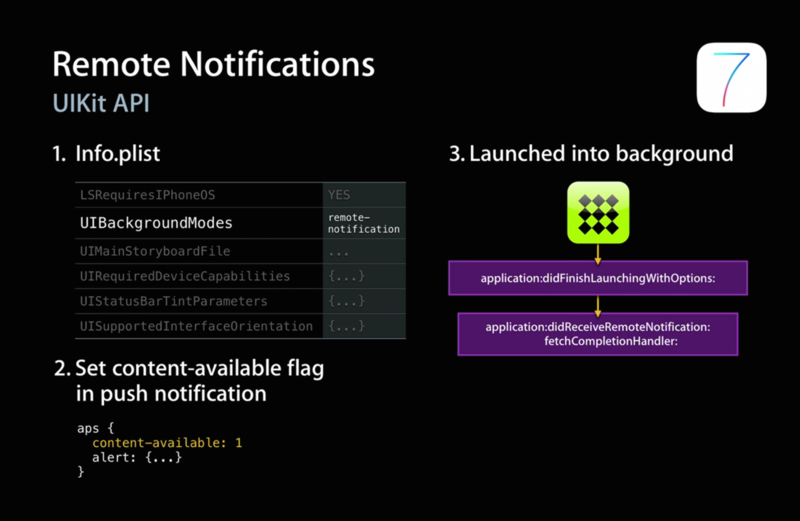 Standard pushes can deliver notifications just as in previous versions of iOS. VoIP pushes provide additional functionality on top of the standard push that is needed to VoIP apps to perform on-demand processing of the push before displaying a notification to the user. To deploy this new feature, please refer to this tutorial: https://zeropush.com/guide/guide-to-pushkit-and-voip - I've tested it on my device and it works as expected. I've been trying different variants of this for days, and I thought for a day I had it re-launching the app in the background, even when the user swiped to kill, but no I can't replicate that behavior. It's unfortunate that the behavior is quite different than before. On iOS 6, if you killed the app from the jiggling icons, it would still get re-awoken on SLC triggers. Now, if you kill by swiping, that doesn't happen. It's a different behavior, and the user, who would continue to get useful information from our app if they had killed it on iOS 6, now will not. We need to nudge our users to re-open the app now if they have swiped to kill it and are still expecting some of the notification behavior that we used to give them. I'm worried this won't be obvious to users when they swipe an app away. They may, after all, be basically cleaning up or wanting to rearrange the apps that are shown minimized. In most cases, the system does not relaunch apps after they are force quit by the user. One exception is location apps, which in iOS 8 and later are relaunched after being force quit by the user. In other cases, though, the user must launch the app explicitly or reboot the device before the app can be launched automatically into the background by the system. When password protection is enabled on the device, the system does not launch an app in the background before the user first unlocks the device. Not the answer you're looking for? Browse other questions tagged ios ios7 push-notification apple-push-notifications or ask your own question. What is Silent Push Notification? When does the device receive it? Is Silent Remote Notifications possible if user has disabled push for the app? iOS push notification: how to detect if the user tapped on notification when the app is in background? Is it possible to clear a specific app's notification from notification centre after 30 sec in iOS?